Ireland Under-20 Grand Slam winner Rob Russell got among the tries as Dublin University claimed the scalp of All-Ireland League leaders Cork Constitution to take a step closer to a semi-final place. Cork Con were outplayed by the super-charged Trinity side in the second half, leaking five tries which were shared out between Ronan Quinn (2), Russell, Rowan Osborne and Giuseppe Coyne. Alex McHenry sidestepped through for Con's only try and a 10-5 lead, but the fourth-placed students stormed to a 37-13 win. Garryowen's play-off hopes took a serious hit with a 29-12 home defeat to Clontarf, who held on to second spot with first-half tries from Angus Lloyd and Vakh Abdaladze setting the tone. The division's leading try scorer, Peter Sullivan, took his haul to 12 tries with a brace in Lansdowne's 57-31 triumph over UCD. Only four points separate Division 1A's bottom four sides after Terenure College won 18-12 at Shannon. Sam Coghlan Murray grabbed a try in each half for Terenure, while UCC climbed above Young Munster into seventh after Rob Hedderman's late try helped secure a 13-10 win. Malone and Naas vaulted back into the top four in Division 1B, Mark O'Connor scoring 11 points as the Belfast side won 16-7 against Armagh. There were try doubles for Fionn Higgins and Peter Hastie, along with Peter Osborne's 17 points from the tee, as Naas ran out 42-21 winners away to Banbridge. Ballynahinch matched Old Wesley's bonus-point winning exploits with a 34-27 success against Old Belvedere, the highlight being a superb hat-trick of tries from Ross Adair. His Wesley counterpart, Rory Stynes, tallied up 16 points, including two tries, as they beat Buccaneers 29-13 in Donnybrook. 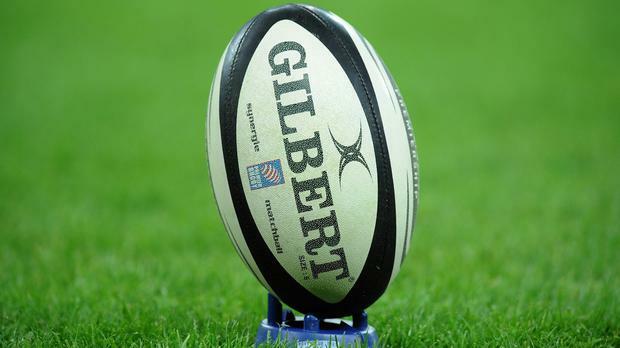 St Mary's College recorded a 74-15 demolition of Ballymena, whose relegation was confirmed. Cormac Foley came off the bench to score three of Mary's 11 tries.